Summary: It is impossible to achieve your optimal health if you do not have adequate iodine levels. See how iodine can help: breast cancer, FIBROCYSTIC BREAST DISEASE, DETOXIFICATION, FATIGUE, GRAVES’ DISEASE, AND HASHIMOTO’S DISEASE. Fine out why iodine deficiency may be the root cause of thyroid problems including hypothyroidism and thyroid cancer. Discover how to get iodine in your diet and improve your immune system. Adventism’s Official Embrace of Vaccination: A Blessing or Curse? Update (2nd Edition) on Steven’s case: Steven has been taking 50mg/day of iodine for two years. His recent iodine loading test has improved to 85% excretion. Steven’s story is not unique. The human body is a wonderful thing. If you give it the proper nutrients, it can perform optimally. Conversely, when the raw materials (vitamins, minerals, hormones, enzymes, amino acids, etc.) are lacking or imbalanced, it sets the stage for poor health and the onset of disease. At the present time, iodine deficiency is occurring in epidemic proportions. This book will explore the causes and treatment of iodine deficiency. For over 100 years, iodine has been known as the element that is necessary for thyroid hormone production. However, it is rare to see any further mention of iodine’s other effects in the body. Iodine is found in each of the trillions of cells in the body. Without adequate iodine levels, life itself is not possible. Iodine is not only necessary for the production of thyroid hormone, it is also responsible for the production of all of the other hormones in the body. Adequate iodine levels are necessary for proper immune system function. Iodine contains potent antibacterial, antiparasitic, antiviral, and anticancer properties. Iodine is also effective for treating fibrocystic breasts and ovarian cysts. Table 1 lists some of the many benefits of iodine and some of the conditions that would benefit from adequate iodine supplementation. This book will review the many therapeutic aspects of iodine. Approximately 1.5 billion people, about one-third of the earth’s population, live in an area of iodine deficiency as defined by the World Health Organization. Iodine deficiency disorder can result in mental retardation, goiter, increased child and infant mortality, infertility, and socioeconomic decline. Iodine deficiency disorder is the most common preventable form of mental retardation known. 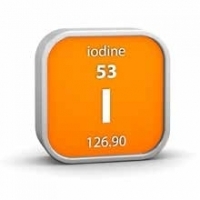 Iodine is a relatively rare element, ranking 62nd in abundance of the elements of the earth. Iodine is primarily found in seawater in very small quantities and solid rocks (usually near the ocean) that form when seawater evaporates. Iodine can also be found in sea organisms, such as seaweed. In fact, seaweed is one of the most abundant sources of iodine because seaweed has the ability to concentrate a large amount of iodine from the ocean water. Iodine is not very abundant in the earth’s crust. It is estimated to be about 0.3-0.5 parts per million. In fact, it is in the bottom third of the elements in terms of abundance. If the soil has adequate iodine levels, the crops grown on that soil will contain adequate iodine levels. Conversely, deficient iodine levels will be found in crops grown on iodine-deficient soil. There are naturally occurring non-radioactive and radioactive forms of iodine. Radioactive iodine can be used in medicine to diagnose and treat certain illnesses, particularly illnesses of the thyroid gland. Commercially available nonradioactive iodine primarily comes from several sources: Chilean saltpeter, seaweed, ad brine water in oil wells. The action of the waves from the ocean can make iodine gas. Once airborne, iodine can combine with water or air and enter the soil. Non-radioactive iodine can enter our food system in a variety of ways. First, plants can take up iodine from the soil. Second, airborne iodine can land on fresh water supplies and, finally, airborne iodine can land on the ground, combine with salt, and become iodized salt. Radioactive iodine can enter the air from reactions in nuclear power plants or explosions of nuclear materials. Radioactive iodine has been associated with certain types of cancer including thyroid cancer and certain blood cancers. Children are more susceptible to radioactive iodine since they have smaller thyroid glands, and they will receive a proportionately larger radioactive dose than an adult when they are exposed to radioactive iodine. Radioactive iodine damage can be prevented by the ingestion of non-radioactive inorganic iodine. The meltdown of the Fukushima nuclear reactor in Japan should give us all pause. It is best to ensure iodine sufficiency-for both health and safety issues. If we are ever confronted with a Fukushima like event, iodine sufficiency would be a protective factor minimizing problems with radioactive iodine exposure. How do you Ingest Iodine? Iodine, unlike vitamins and minerals, is not present in adequate amounts in most foods. Specific plants absorb iodine when it is present in the soil. 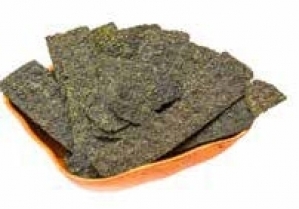 Iodine is found in many ocean foods, such as fish (cod, sea bass, haddock, and perch) and sea vegetables (seaweed). Iodine can also be found in many other food products either by adding iodine to animal feed or by adding iodine to the food source. Iodine has also been added to salt products (i.e., iodized salt). The U.S. government determined that the most cost-effective way to prevent goiter of the thyroid gland was to add iodine to the salt supply. Ingesting iodine through the use of iodized salt costs pennies per day. 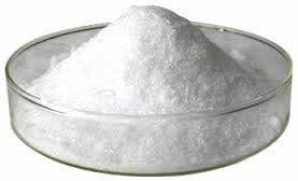 Although the addition of iodine to the salt supply has lessened the prevalence of goiter, it is inadequate to supply the body’s need for iodine. This will be more fully explained in the rest of the book. In the first five weeks of taking the iodine, I lost five pounds. The weights that I have been able to use on practically all of my exercises have increased between 15-25%. My recuperation time between workouts seems to be steadily improving. It seems as though I have been waking up on time much more consistently than ever before. I am awake and energized at about 6:00 a.m., which has never been the case before in my life! Additionally, I feel as though my energy level is much more stable throughout the day. Since I have been taking the iodine, my need for caffeine in the morning has disappeared. Overall Dr. Brownstein, I feel much better than I did before starting the iodine therapy. Iodine deficiency is, unfortunately still with us, and is occurring at epidemic levels. Iodine deficiency is associated with a plethora of illnesses (see Table 1). The rest of the book will show you how to properly measure iodine levels and will educate you on the mechanisms of action that iodine has in our bodies. Furthermore, you will learn that iodized salt is not only an inadequate source for providing sufficient amounts of iodine to the body, it is a toxic, devitalized substance that is best avoided. The thyroid gland controls the metabolic activity of the body. When there is adequate thyroid hormone available of the cells of the body, there is a normal metabolic activity present. By contrast, in a hypothyroid state, the metabolic activity of the body is lowered. Table 4 lists some of the signs and symptoms related to hypothyroidism. The main thyroid hormones, T4 and T3, require sufficient iodine in order to be produced. In an iodine-deficient state, hypothyroidism is the expected outcome as thyroid hormone will not be manufactured. My research has shown that iodine levels need to be investigated in all hypothyroid individuals. If iodine is found to be deficient, many times, supplementing with iodine can improve or even cure the hypothyroid condition without the use of exogenous thyroid hormone. Iodine and thyroid hormone have synergistic action in the hypothyroid patient. When it is indicated, it is more effective to use iodine along with thyroid hormone to achieve the best results. Karen, age 50, suffered with hypothyroidism for 15 years. Her symptoms included fatigue, mental confusion, puffiness, and hair loss. I diagnosed Karen with hypothyroidism three years ago and began treating her with Armour® thyroid as well as a combination of vitamins, minerals, and herbs. She noticed a significant improvement in her symptoms when she began taking Armour® thyroid. “I feel like I got my life back. I could think much more clearly and my energy level started to improve,” she said. Karen’s daughter, Lisa (22 years old) had similar symptoms and was diagnosed with hypothyroidism, two years ago. She had similar positive results with thyroid supplementation. Four months ago, the laboratory tests showed both Karen and Lisa had iodine deficiency. Three months after starting iodine supplementation, I received a letter from Karen that said in part, “Lisa and I take Armour® thyroid and we have had much success with that, but adding iodine really made a difference. We have more energy and it is much easier to get up in the morning the muscle stiffness I occasionally experienced is gone. As you know, I spent three weeks in California with my mom who had undergone surgery for colon cancer. I was in a bed other than my own and I was on a different time schedule. I wasn’t getting much sleep and the stress level was very high. In the past, a situation like that would have exhausted my body and I would be aching all the time. Not this time! In spite of everything that was going on, I felt great. I attribute that to the iodine, because it is the only change I have made since being in California. Lisa’s experience has been similar. She is in college and has a very irregular schedule. Since she started taking iodine, I have noticed a big difference in her energy level. She actually wakes up on her own and has much more energy during the day and night.” After two months of therapy, I had asked Karen and Lisa to reduce their iodine dosage slightly and they did not feel as good. “When Lisa and I cut down our dosage of iodine, we gradually noticed we did not feel as well. At your recommendation, we increased the dosage and began to feel as good as we were before,” Karen wrote. Karen and Lisa’s experience is very common for many of my other patients. As is the case with Karen and Lisa, optimal thyroid function is dependent on having adequate iodine ingestion.